designed to add shine + eliminate frizz from the hair - leaving it soft, manageable, + easier to style. treatments last 3-5 months based on hair products used to maintain. purchase of keratin hair products highly recommended at the time of service. smooths + eliminates frizz. results last 6 - 8 weeks with use of proper hair products. 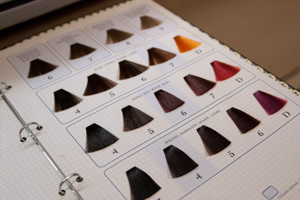 purchase of keratin hair products is highly recommended at time of service.